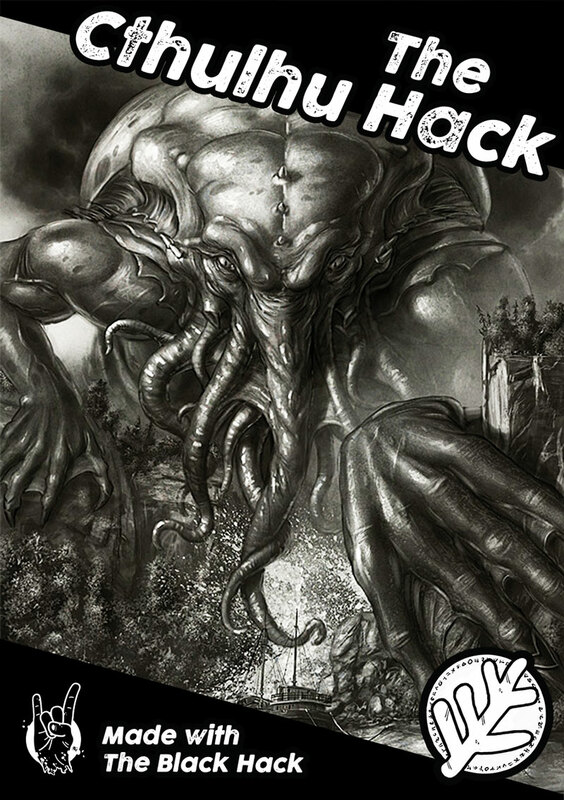 I’m currently working up a Cthulhu Hack Demo Pack, which will include a 4-page booklet with a 2-page overview of the game, for players and GM alike, and a 2-page demo adventure, designed to run in 15 minutes or so for 1 or 2 players. To round that off, it will include two pre-generated characters using a simplified version of the current character sheet. The character sheet keeps things straightforward, provides some explanation in-situ about how to use Saves – and looks great when laminated! The adventure could be expanded if you want; you can use blank character cards to create additional pre-gens for a larger group. 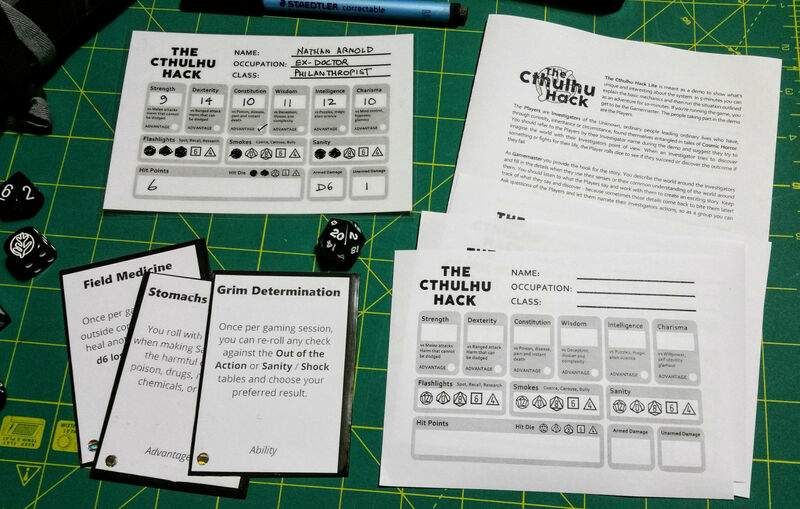 As the demo pack includes limited information (for space reasons), it doesn’t explain the different Classes from the core rules – so, all characters are just Investigators and I plan to use the Classless character creation system to put them together. I hope to have the demo available by the start of December, released through RPGNow and DriveThruRPG.